Known as a specialised grower of grafted gums, we also grow a range of other natives including grafted Hakeas. Long bottlebrush-like flowers have now appeared and will continue through late winter and into spring. 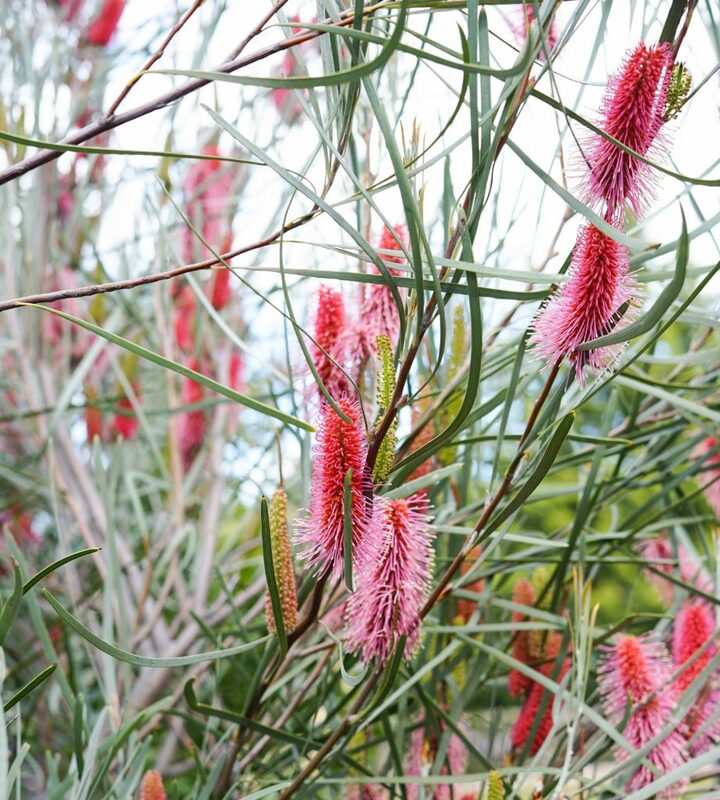 Our range includes Hakea bucculenta (red), Hakea francisiana (pink) , Hakea x ‘Intensity’ (vibrant pink). Extremely useful in the landscape – both domestic and commercial. A long flowering period and compact form makes Hakea a suitable feature tree in small to medium sized residential gardens. Their rounded and uniform habit combined with this outstanding flowering provides further value in street and parkland plantings. Hakea are best suited in full sun and well drained soils. They are grafted onto phytophthora resistant root stock ensuring longevity in the landscape.